I had been planning on writing a follow up to the last article on omega 3s and chemotherapy with a piece on new research that looked at a protective effect of omega 3s on breast cancer. However, the big news of the moment is the result of a study that found that an increased risk of prostate cancer from omega 3s. So what gives? For those wanting to know whether to increase or decrease omega 3 intake, these conflicting results are just down-right confusing and a bit scary too. Let’s deal with the prostate cancer results first. The paper in question is called ‘Plasma Phospholipid Fatty Acids and Prostate Cancer Risk in the SELECT Trial’ and was published in the Journal of the National Cancer Institute (unfortunately not an open access publication). The abstract is available here: http://www.ncbi.nlm.nih.gov/pubmed/23843441. The authors looked at the relative percentages of different omega 3s fatty acids in blood samples from men with and without prostate cancer who had been enrolled in the Selenium and Vitamin E Cancer Prevention Trial. Men were ranked into four groups according to relative plasma omega 3 content and then the group with the lowest 25% were compared with the highest 25%. The results of this analysis showed that the men in the highest group had greater risk of prostate cancer than those in the lowest group. This was true for total omega 3 measurement as well as for individual omega 3s (e.g. DHA, DPA and EPA). On the face of it this looks like a pretty solid finding. But there are some puzzling things about this result. The first and the most obvious is that there’s no causal mechanism offered to explain a result that the authors themselves admit is puzzling and contrary to expectations. Omega 3s have many different effects in the body, for example they are strongly anti-inflammatory, but none of them known to be pro-carcinogenic or pro-tumour. Stranger still, the study found that some omega 6 fatty acids, which are known to be pro-inflammatory and often associated with being pro-cancerous, were associated with lower cancer incidence in this study. There were other odd things in these results. For example higher educational status was also associated with higher cancer incidence. And, more importantly perhaps, having a first degree relative with prostate cancer was also associated with greater cancer incidence and higher omega 3 status. Note also that the authors were looking at relative percentages of omega 3 fatty acids in the blood stream, not the actual amounts. Given these results there’s no way to know how to match omega 3 intake to these percentages - there are all sorts of factors that can change the ratio of fatty acids in the blood stream. However, the authors verified their results by looking at results from other studies and found similar puzzling findings. So we have to assume that these results are not spurious and certainly demand some urgent investigation. More puzzling is that a similar kind of trial was performed in Australia, and published online only weeks before this new one, which looked at plasma phospholipids and prostate cancer risk. In this study, (‘Plasma phospholipid fatty acids, dietary fatty acids and prostate cancer risk’, published in the International Journal of Cancer, abstract here: http://www.ncbi.nlm.nih.gov/pubmed/23575905), the authors looked not just at the relative ratio of fatty acids in blood samples but also estimated the dietary intakes. The result? An increased risk with higher plasma percentage of saturated fatty acids, a slightly lower risk with monounsaturated fatty acids (mainly due to oleic acid, usually found in olive oil). No trend with levels of omega 3s. When it comes to dietary intakes, no trends either way for any of the fatty acids. The large and scary association found in the SELECT trial is not found in this study. When we have two such closely matched trials – these are both large prospective trials looking at the same measures – it’s hard to judge what’s going on. Obviously more trials would be needed, but we can also look to see what other evidence is already available. One such investigation is to look at epidemiological data to see if the finding from the SELECT dataset is reflected in the real world. We would expect that if the effect is very strong then we should be able to see it in population data comparing populations with higher omega 3 intake compared to lower. Do we see this? Omega 3 levels are strongly correlated to fish intake in the diet, and the Inuit and Eskimos are populations known to have much higher omega 3 levels because of the high fish content of their diet. The evidence here is very strong – higher serum omega 3 levels are associated with lower prostate cancer incidence. And lower rates of cardio-vascular disease too. 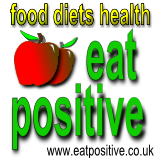 The finding is supported in other studies that have looked at diet and prostate cancer. So, the strong effect reported by this new research doesn’t match what we see in populations – though of course there are so many life style factors at work that it’s hard to know just how much you can pin on diet alone. Other evidence comes from clinical trials, for example one phase II trial looked at omega 3 supplementation in men undergoing radical prostatectomy (Phase II prospective randomized trial of a low-fat diet with fish oil supplementation in men undergoing radical prostatectomy). In this (small) trial men waiting for prostate cancer surgery were put on a low-fat, omega 3 supplemented diet and compared to other men waiting for surgery who had a standard Western diet. A key finding was that men on the omega 3 diet showed a 32% decrease in the rate of cancer cell proliferation. Finally, we should note that there is also evidence that shows that higher omega 3 levels are related to improved overall survival for men with prostate cancer. For example, a study that looked at prostate cancer survival in Sweden (‘Dietary fatty acid intake and prostate cancer survival in Örebro County, Sweden’), found that ‘high marine omega-3 fatty acid intake may improve disease-specific survival for all men.’ Another epidemiological study that tracked cancer incidence for 22 years (‘A 22-y prospective study of fish intake in relation to prostate cancer incidence and mortality’), found that higher intake of omega 3’s had no effect on prostate cancer incidence; it did have an effect in reducing prostate cancer mortality. What can we conclude from all of this, other than the picture is a lot more complicated than we would like it to be? The striking and unsettling result using the SELECT data was widely publicised in the press and on TV, but it’s not the only study looking at this topic. While nobody seems to be reporting strong evidence of a preventative effect of omega 3s on prostate cancer incidence, there does seem to be evidence that it’s helpful in slowing disease and reducing mortality. The evidence is also there in supporting radiotherapy and chemotherapy response. In the meantime, evidence of a protective effect in breast cancer reduction is now being published, but more of that in a future article.